Namibia is quickly gaining a reputation on the Instagram map as a place of wild and vivid landscapes rivalling even the most picturesque countries such as New Zealand, Iceland, Argentina and Chile. What makes Namibia so interesting is it is one of the least densely populated countries in the world and thus you can drive for 20 minutes and not see another vehicle. Not to mention the infamous skeleton coast where the legendary Skeleton Bay surf spot is home to the longest sand-bottomed left-hand wave in the world. Add to this a bizarre fusion of Afrikaans, German, and African culture as well as one of the most picturesque salt flats and immense red dune scapes in the world and it is no wonder it is quickly becoming a hot spot destination for those travellers looking for something a little out of left field. For our journey we headed south, landing in Windhoek and spending an evening getting supplies and checking out the local scenery. Flying into Namibia the country looks a lot like the Australian Outback, unforgiving, rugged, with sparse vegetation, but once you are on the ground interacting with people and in the interior you can appreciate the stark beauty and unique flavours the culture has to offer. The airport is small but comfortable and you will be able to buy a sim card or rent a vehicle after proceeding through customs, and as soon as you are out the door and on the road you will feel very much in Africa as baboons strangely navigate the main road to Windhoek. 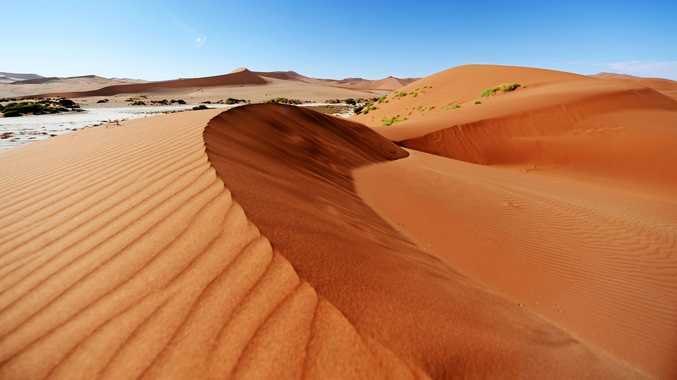 Our aim is to head south into the desert landscape that will take us to our ultimate destination of Sossusvlei in the Namib-Naukluft National Park of Namibia, hook around seeing Walvis Bay and head back to Windhoek in time for our departure flight after a week of driving. Accommodation in Windhoek is modern and comfortable, although drought may mean a limit on the water supply. Unexpectedly Windhoek homes do have high walls and barbed wire fencing although the crime stats are nowhere near its neighbour South Africa. Peak hour traffic in the city centre can be tricky to navigate with a thousand taxis hooting and creating any number of traffic lanes depending on where they are trying to get to. With so much to see we make our way out of town quickly the next day in a four-wheel drive with a fridge, roof-top tent and gas cooker. There are checkpoints leaving the main city so ensure you have your papers in order and are driving the speed limit. Once through you will find you climb over the escarpment of rocky cliffs surrounding Windhoek to be greeted by an increasingly arid landscape. Your journey south feels like an intrepid trip into the unknown. 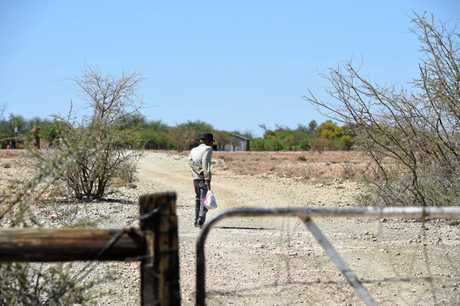 The towns to refuel become far removed and the farm estates surrounded by kilometres of fences become more and more barren. Eventually you feel like you are driving on a moon landscape, and the sense of isolation feels remarkably purifying. The makeshift homes of corrugated iron with a rusted windmill and dilapidated fences leave one in awe of how anyone survives in such harsh conditions. Descending into the valley floor over one hill we encounter more than once a dead donkey or horse and even a zebra that had died at the side of the road. Emerging from the shimmering heat, an aged man in grey slacks, a white shirt and neat coat walks quietly with a bag of groceries. Thinking we will see a town soon where he bought his goods we are shocked to never find a town where he had come from. And like a ghost he disappears again into the bush. As you wind your way deeper into the desert the landscape changes from hills and rocky outcrops and deep valleys into soft sand. 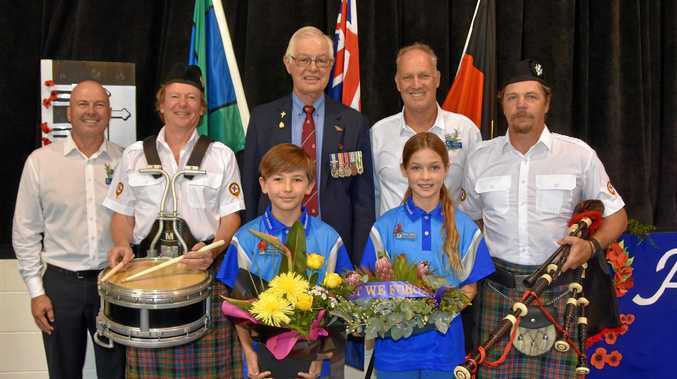 The country is well set up for camping, with clean and reasonably priced sites available. Campsites inside and outside of Namib-Naukluft National Park are well maintained and efficient. It is important to time your trip well - the gates close to the dunes and if you are camping outside the park you need to exit before dark. Just as important is to time when you drive in to look at the dunes - make sure you have water and a way to pump your tires. 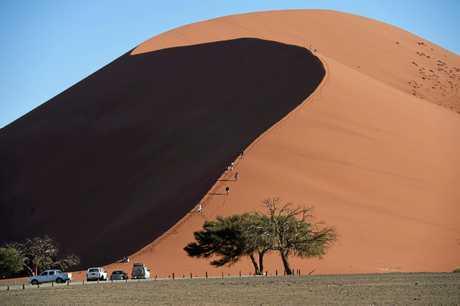 There are three main dune sites - Dune 45, Sossusvlei and Deadvlei. It takes a good 20 minutes to drive in while abiding the speed limit, and it is exhaustingly hot by midday, making it virtually impossible to enjoy the dunes. Early morning and late afternoon are best. Time your trip so that you have ample time to walk, as all sites require a large amount of hiking to get to photographic vantage points of dead trees on the salt plains. While your main goal might be to see the salt pans, the drive into the park is equally enjoyable as the massive dunes in the distance create a serene calming view, while yellow sand twirls and snakes across the road, whipped up by the wind. 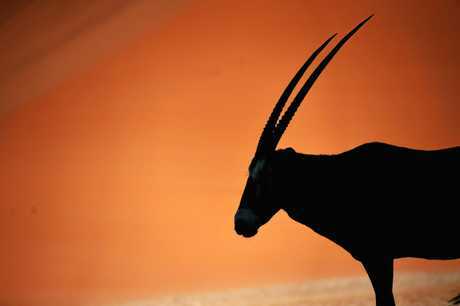 Gemsbok with 85cm horns roam the area in plentiful numbers. The unique creatures have adapted to survive - with white bellies, turning carbs into water and using cooled arterial blood to their advantage. At Dune 45, the dunes change shape and shift with the wind, striking an intimidating pose on the horizon, but if you are looking to get in for a closer look, there is parking at its base where you can leave your vehicle and climb the 70m escarpment. It is tough going but a once in a lifetime opportunity to conquer sand that's five million years old.